Frank Lloyd was the famous American architect,interior designer, writer, and educator, who for more than 70 years designed more than 1,000 structures, 532 of which were completed. He designed structures “that were in harmony with humanity and its environment, a philosophy he called organic architecture”. 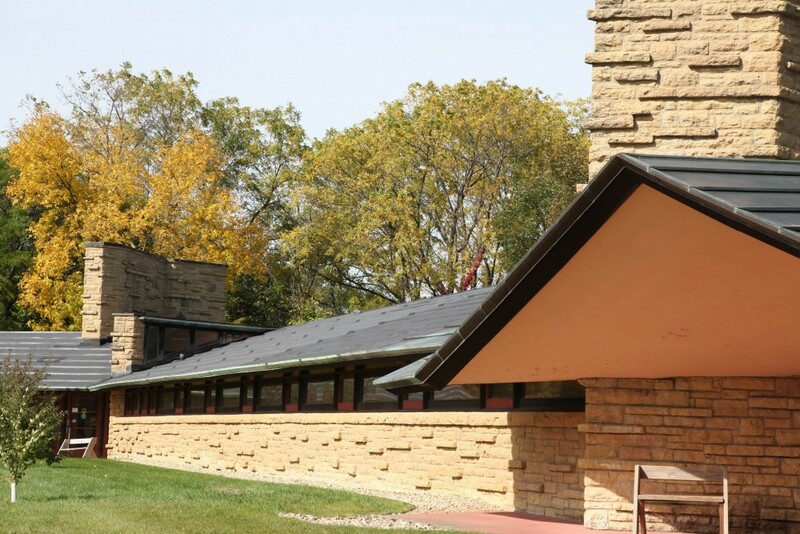 Wright was a leader of the Prairie School movement of architecture. Wright’s work includes original and innovative examples of many building types, including offices, churches, schools, skyscrapers, hotels, and museums. 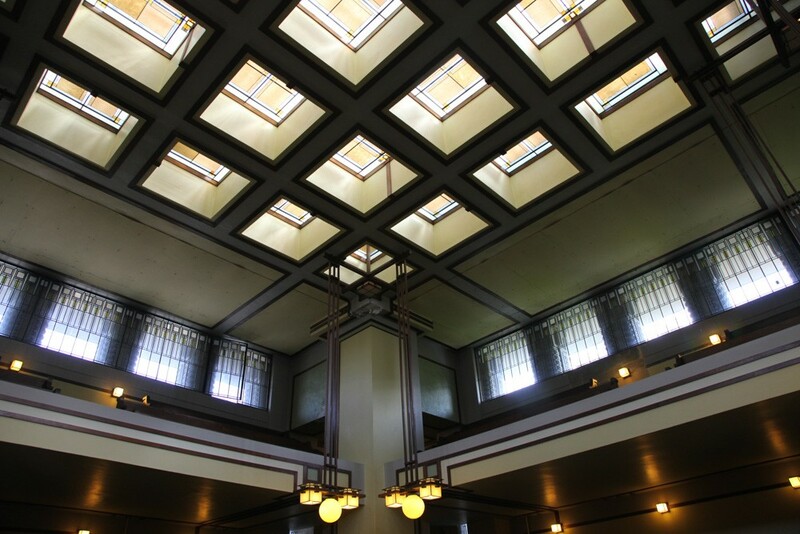 He also designed many of the interior elements of his buildings, such as the furniture and stained glass. 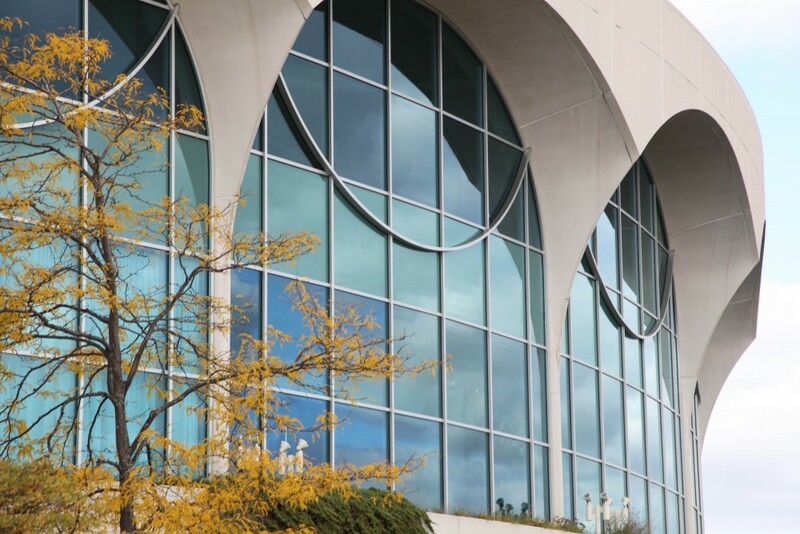 Monona Terrace Community and Convention Center opened in 1997 after 60 years of debate. 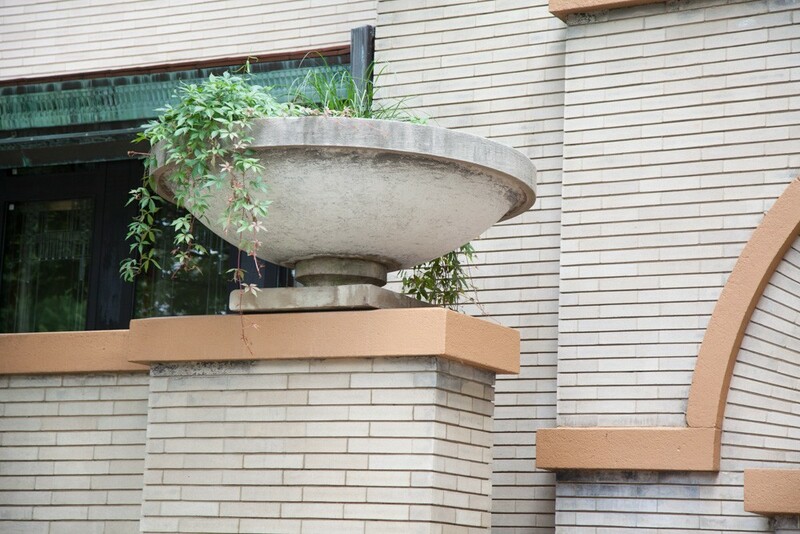 The building was designed by Frank Lloyd Wright in 1938 as a cultural, government and recreational building. It was reworked several times between 1938 and 1959. Final plans were completed seven weeks before his death. The plans were finally approved in 1992 as a community and convention center. 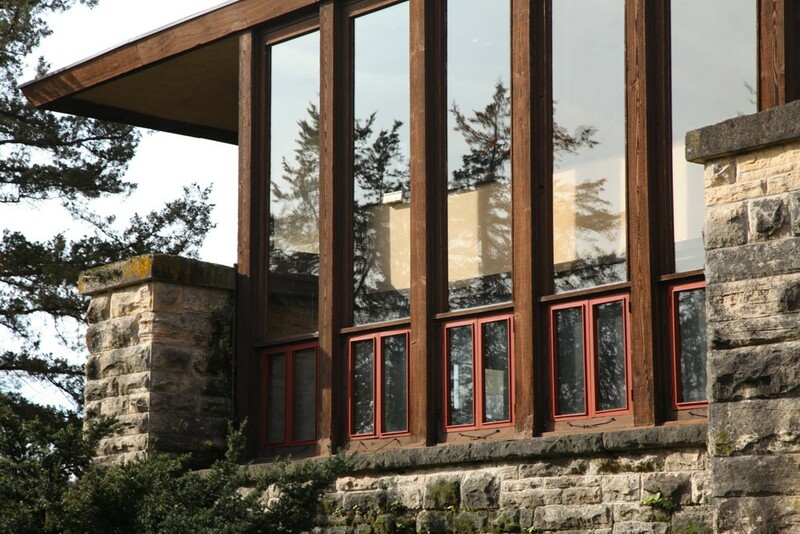 Wright’s final design was used for the outside, but the interior was redesigned by one of his Taliesin apprentices, Tony Putnam. You can see a number of photos of Wright and visit an exhibition about the design and final construction of the building. The view from the pedestrian pathway is not to be missed. There is also an attractive rooftop garden. One John Nolen Drive. Unitarian Meeting House: Located on the west end of the University of Wisconsin, at 900 University Bay Dr., this single-level church was commissioned in 1946 and designed by Wright. It was completed in 1951. Additions were added in 1964 and 1990 and designed by Taliesin Associated Architects. Tours are available so check out their website for information as times and dates change by season. Wingspread: This is the residence of the Herbert Fisk Johnson family designed and built in 1938-39 by Frank Lloyd Wright. The 12,000 sq. ft. house is shaped like a four-winged pinwheel and built of limestone, brick, stucco and wood. 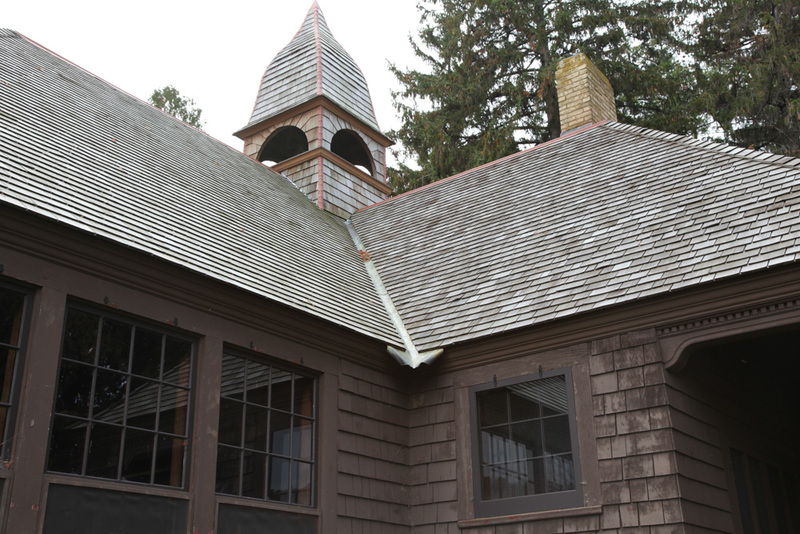 It’s 30 foot-high chimney, with five fireplaces on three levels is the centerpiece of the house. Free, self-guided tours are available so book online before you go to get the date and time you want. I liked the fact that you could walk through at your own pace. It was the home of the Johnson family for 20 years, but today is operated as a conference center by the Johnson Foundation and is a National Historic Landmark. 33 E. 4 Mile Rd. SC Johnson: SC Johnson is the maker of many of the household products we use daily from Pledge, Raid, Ziploc bags, Glade and more. Taking a tour of their corporate headquarters is a must when you are in Racine. 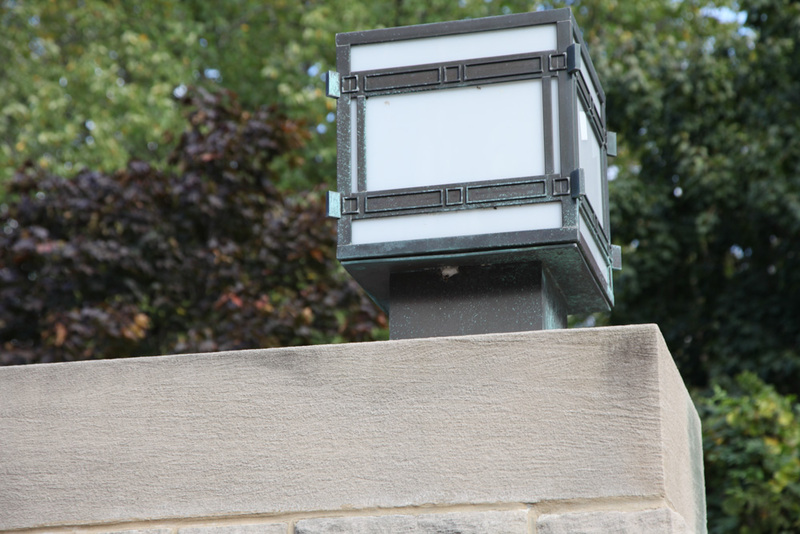 Here you can visit the Research Tower designed by Frank Lloyd Wright in 1939 and opened for tours in 2014 and the Wright designed Administration Building, also from 1939, with its large Great Workroom with Wright designed furniture. Next is the newer contemporary Fortaleza Hall with a museum on the history of the company plus gift shop. Tours start in the Golden Rondelle Theater which was the former SC Johnson Pavilion at the 1964 New York World’s Fair which was moved to the site and rebuilt. The free guided tours last an hour and a half and can be booked online before you go. 1525 Howe St.
One of the highlights of Spring Green is a visit to Taliesin. 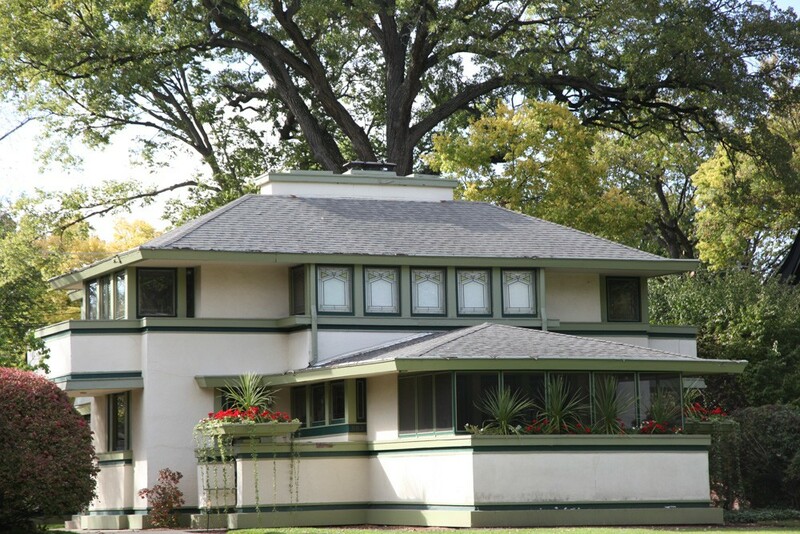 Built in 1911, this is Frank Lloyd Wright’s home and studio for more than 50 years. Make sure to book your tour online before you go. There are a number of options from a one-hour Hillside Studio and Theater tour, a one-hour Life at Taliesin Tour, a two-hour House Tour, a four-hour Estate Tour and a two-hour Preservation Tour. I took the two-hour Highlight Tour where I was able to spend an hour inside Wright’s house and another hour at the Hillside Studio and Theater where you can visit the drafting rooms, the stunning dining room and theater with gorgeous stage curtain used by the Frank Lloyd School of Architecture whose students currently split their time here and in Taliesin West in Scottsdale, AZ. The house was wonderful with great views and features his Asian art collection and the carpets and furniture he designed. I particularly loved seeing the nautilus shell that Wright showed Solomon Guggenheim when he came to Taliesin to discuss his proposed museum in New York. It was this shell that inspired his famous design!! You can also see some exterior views of some of Wright’s buildings including the farm buildings as you tour the beautiful grounds. Wyoming Valley School Cultural Arts Center: At 6305 Highway 23, just south of Spring Green, this is a small cultural center that was designed by Wright in 1957. The space is used for performances, exhibitions, workshops and lectures throughout the year. I was able to see a photography exhibition while taking photos of the interior. It has two classrooms and a larger assembly hall that was used in the past as an elementary school. Riverview Terrace Cafe: This is a fine dining restaurant in the Taliesin visitors center overlooking the river below. 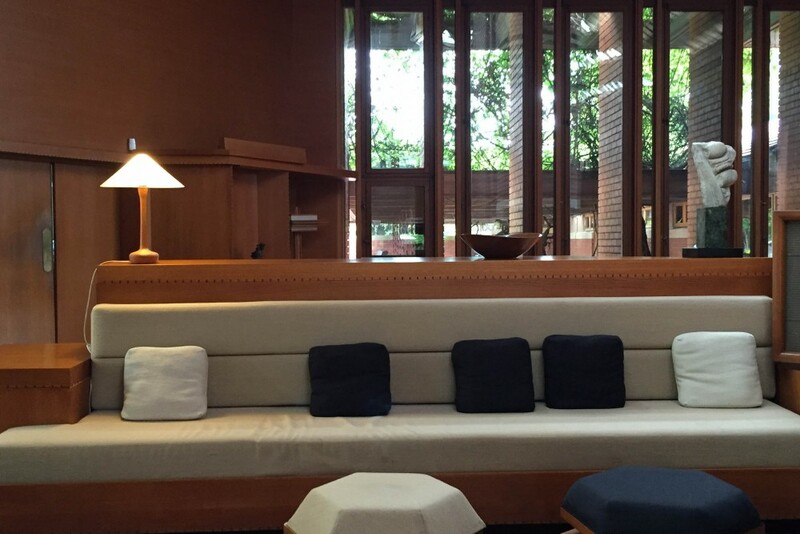 The setting is lovely and it is the only restaurant designed by Frank Lloyd Wright. Don’t miss the gorgeous ceiling. 5607 Highway C.
Dana–Thomas House: Located close to downtown, at 310 E. Lawrence, this is an historic home from 1902 designed by Frank Lloyd Wright for Susan Lawrence Dana. It was the 72nd building designed by Wright and currently has the largest collection of site-specific, original art glass and furniture that Wright designed. You can take a tour Thursday to Sunday from 9am to 4pm. It is a large house of 35 rooms, totaling 12,000 sq ft., on three levels. I really enjoyed the beautiful glass doors, windows, light fixtures, terra cotta sculpture and painted mural. It is considered to be one of Wright’s best preserved and most complete of his early Prairie-style homes. I only wish that interior photography was permitted! The tour lasts approximately 90 minutes. 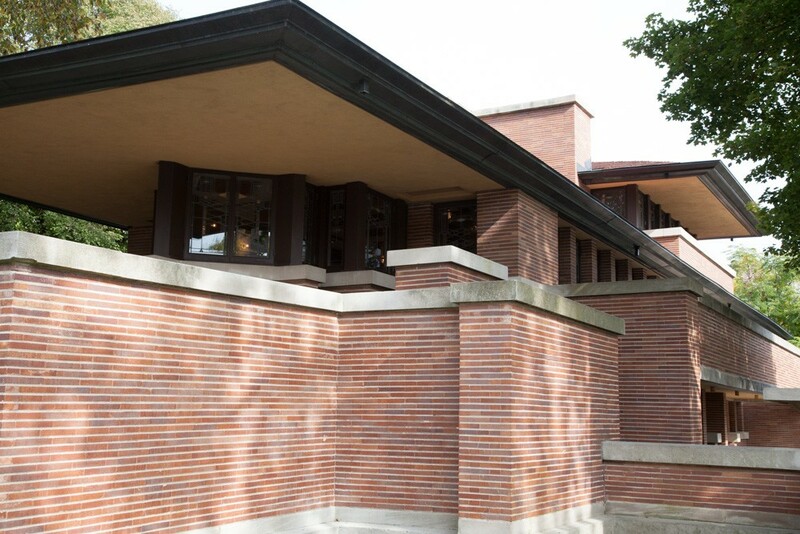 Frank Lloyd Wright – Robie House: At 5757 S. Woodlawn, this is a house designed and built between 1908 and 1910 and is a great example of his Prairie School Style. It was designated a National Historic Landmark on November 27, 1963 and was on the very first National Register of Historic Places list of October 15, 1966. 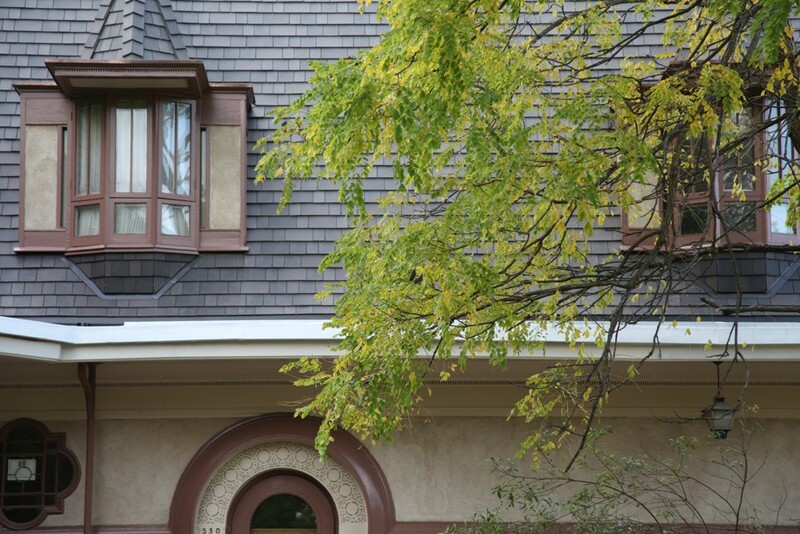 Just under 30 minutes from downtown Chicago are the tree-lined suburbs of Oak Park, Forest Park and River Forest. 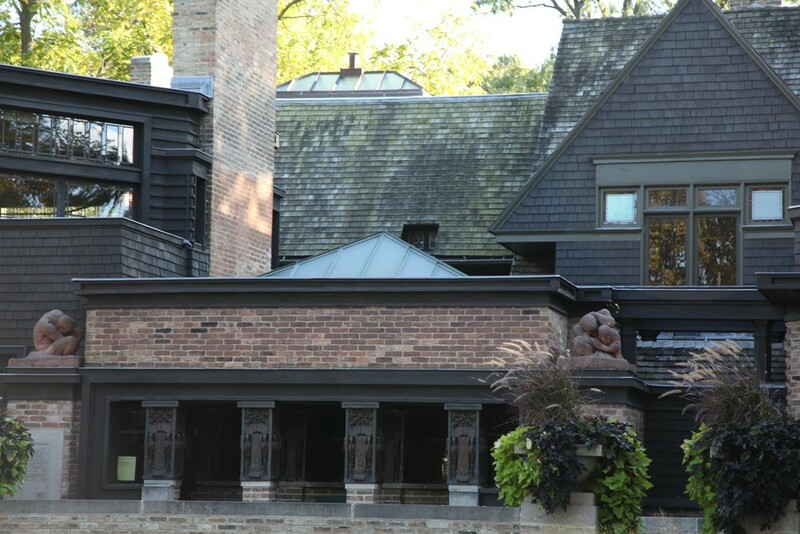 Here you can see some of Frank Lloyd Wright’s most famous homes and tour his home and studio and the famous Unity Temple. Why not make a day out of it and enjoy the attractive downtown area and walk and drive the neighborhoods exploring his architecture. You can access the sites by car, by taking the Green Line from the Chicago Loop or the Metra Union Pacific West Line train from the Ogilvie Transportation Center. 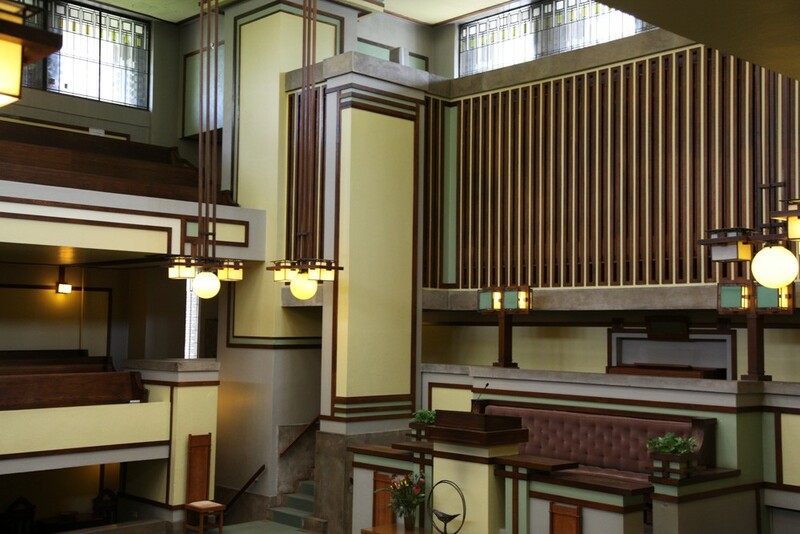 Wright’s famous Unity Temple is at 875 Lake St. Make sure to book online, before you go, through the Frank Lloyd Wright Trust. Guided tours of the interior and self-guided audio tours are both available. Wright designed and built the church from 1905 to 1908. The building elements and architecture are great examples of his organic design. Make sure to take note of his use of natural light, his decorative art or stained glass, his light fixtures and furniture. You will visit the social area as well as the main auditorium or sanctuary. Next pick up your map and audio guide from the Home and Studio to start your walking tour of the neighborhood. You can just buy the larger map or book an audio tour which comes with the neighborhood map and audio guide for narration; I did both. 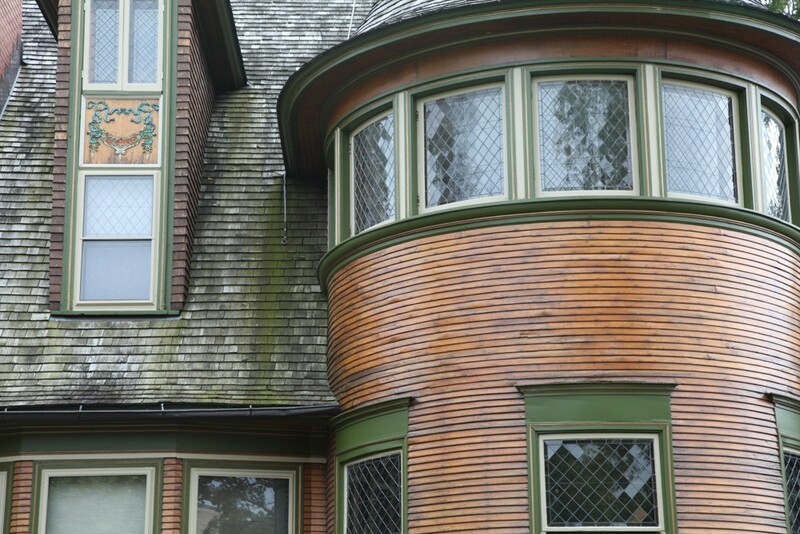 You will see some of his famous homes: The Arthur B. Heurtley House at 318 Forest, which was one of my favorites, The Laura Gale House at 6 Elizabeth Ct., The Peter A. Beach House at 238 Forest Ave., The Frank Thomas House at 210 Forest Ave., The Hills-Decaro House at 312 Forest Ave. and the Nathan G. Moore House at 33 Forest Ave. This district has the world’s largest concentration of Wright-designed structures. On Chicago Ave. you can see some of his older homes, The Walter H. Gale House at 1031 W. Chicago, The Thomas H. Gale House at 1027 W. Chicago and The Robert P. Parker House at 1019 W. Chicago. Next head west to River Forest where you can see his Waller Gates House at Auvergne and Lake State, The William H. Winslow House at 515 N. Auvergne and the stunning Isabel Roberts House at 603 N. Edgewood from 1908. There is also the Chauncy Williams House at 530 N. Edgewood and the J. Kibben Ingalls House at 562 N. Keystone from 1909. 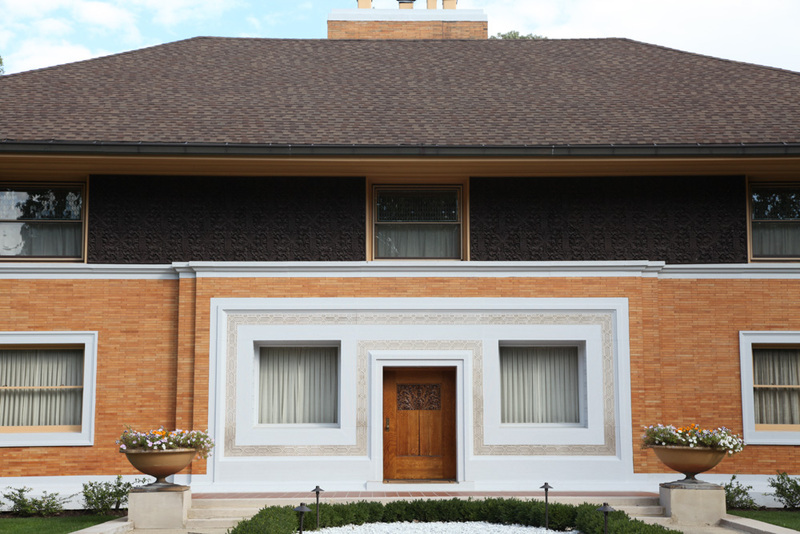 Frank Lloyd Wright Home and Studio: Located at 951 Chicago Ave. in Oak Park, this was Wright’s first home and studio where he developed the Prairie style of American architecture. I would book the guided interior tour online, before you go. Photographers can buy a photography pass for an extra fee. I enjoyed seeing the home but the tour of his architectural studio, where he and his associates worked, was the highlight. 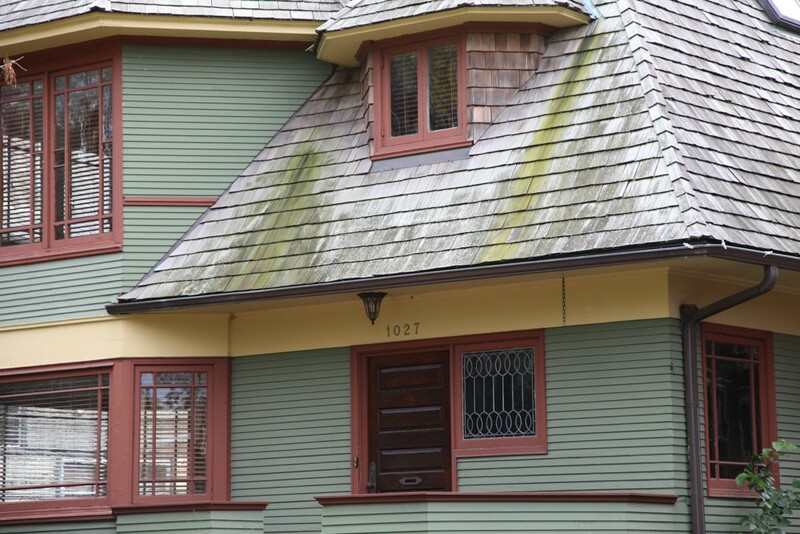 You might also enjoy The Wright Plus Housewalk, held on the third Saturday in May, where you can walk through the homes in Oak Park and River Forest. I have done it twice in the past. Guggenheim Museum: I had not been to the Guggenheim in many years, so I went back recently to explore this major institution. You can experience special exhibitions of modern and contemporary art, lectures by artists and critics, performances and film screenings, classes for teens and adults, and daily tours of the galleries led by experienced docents. 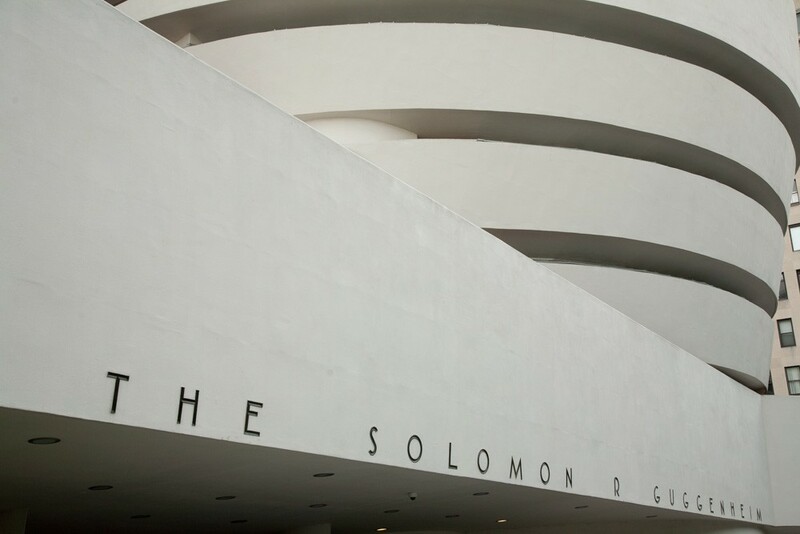 Founded on a collection of early modern masterpieces, the Guggenheim Museum today is an ever-growing institution devoted to the art of the 20th century and beyond. 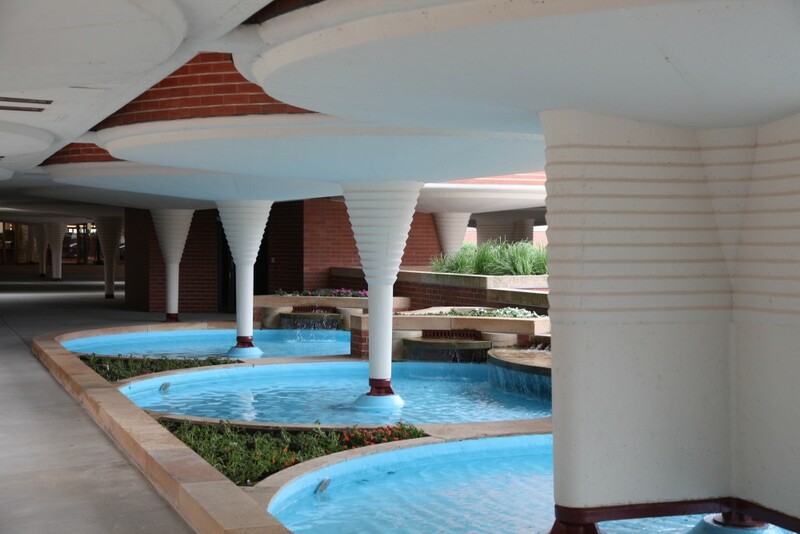 I always love the Frank Lloyd Wright designed building which opened in 1959 and several temporary exhibitions. 1071 5th Ave.
Taliesen West: I have visited Taliesen West twice which should be high on your list of what to do in the area. 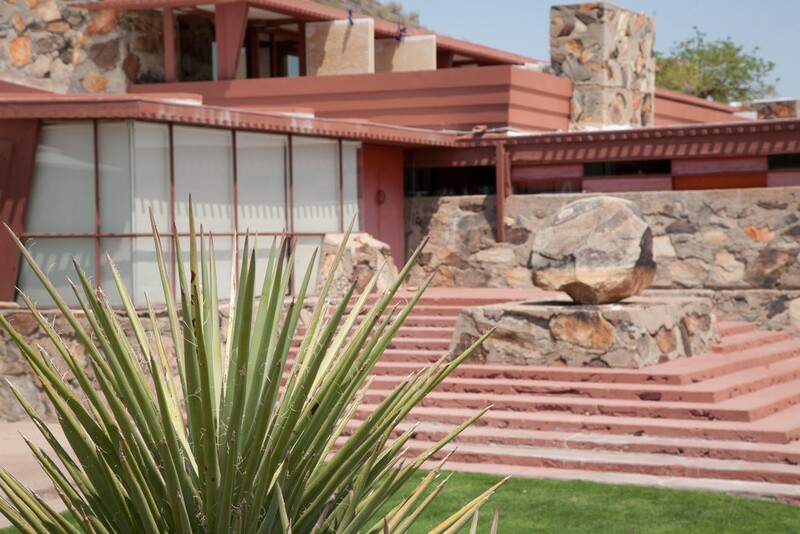 I signed up for the tour of this Frank Lloyd Wright’s desert masterpiece. He began building his personal winter home, studio and architectural campus in 1937. Book early as it is well-worth the visit to see some of his wonderfully designed rooms and how the indoor spaces are integrated into the desert outdoor spaces. His living room or “garden room” was, by far, my favorite. Fallingwater: Falling Water is a house designed by architect Frank Lloyd Wright in 1935 in rural southwestern Pennsylvania, 43 miles southeast of Pittsburgh. Situated over a waterfall, it is probably my favorite of his home that I have visited in the past. Tours are available and I suggest that you book online before you go to make sure you reserve your spot. There are two other Wright designed homes in the area as well including Kentuck Knob in Chalk Hill, PA and the Duncan House in Polymath Park. Tours can be booked online before your visit.